In the wake of the police shooting of a black teenager, Los Angeles is as tense as it’s been since the unrest of the early 1990s. Protests and vigils are being staged all over the city. It’s in this dangerous tinderbox that two families must finally confront their pasts. 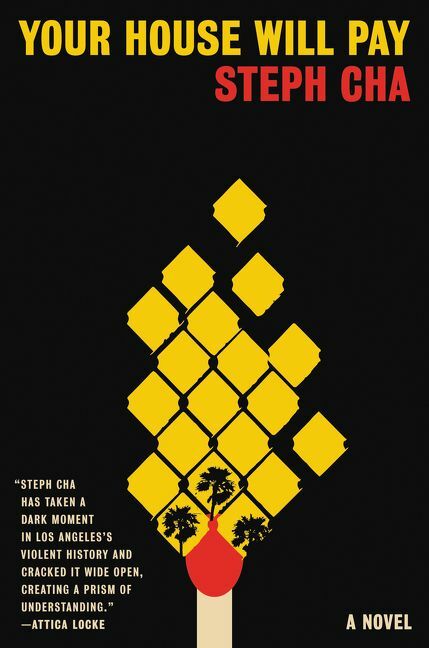 Grace Park lives a sheltered existence: living at home with her Korean-immigrant parents, working at the family pharmacy, and trying her best to understand why her sister Miriam hasn’t spoken to their mother in years. The chasm in her family is growing wider by the day and Grace is desperate for reconciliation, and frustrated by the feeling that her sister and parents are shielding her from the true cause of the falling out. Shawn Matthews is dealing with a fractured family of his own. His sister, Ava, was murdered as a teenager back in 1991, and this new shooting is bringing up painful memories. Plus, his cousin Ray is just released from prison and needs to reconnect with their family after so many years away. While Shawn is trying his best to keep his demons at bay, he’s not sure Ray can do the same. When another shocking crime hits LA, the Parks and the Matthewses collide in ways they never could have expected. After decades of loss, violence, and injustice, tensions come to a head and force a reckoning that could clear the air or lead to more violence.